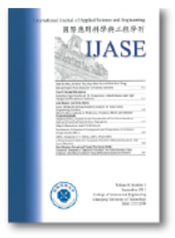 IJASE is a journal which publishes the original research and development in the subject of applied science and engineering. The main objective of the journal is to provide a forum for scholarly work and opportunities for publishing these papers internationally. IJASE recently has been index in SCOPUS.